There is a common problem encountered by many of the Facebook users which is, that anyone can comment on their public updates. Users are not able to figure out a solution for this problem. Well, there is no need to worry about this. 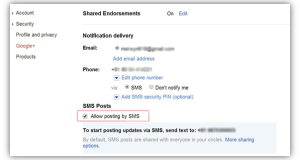 By doing some settings in your Facebook account, you can get rid of anyone’s comments on your public updates. 1. Go to Account Settings –> Followers tab. 3. Check the Turn On Follow checkbox and see Follower Comments. You can select Everybody if you want anyone to comment on your public posts. This option is set by default and because of this anyone can comment on your photos or your updates if you Turn On Follow. If you don’t want anyone to comment on your Facebook updates just select “Friends” in Follower Comments. Once you select any of the option from the Follower Comments drop down list, your changes are auto-saved.